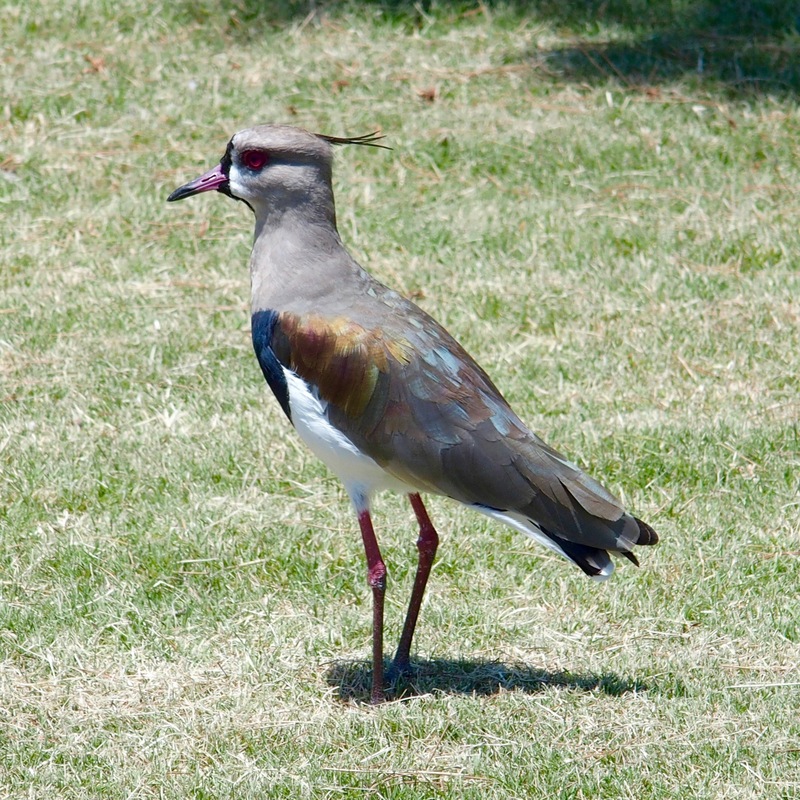 Here in the austral region (southern, not just Australian), we came across birds that looked like the ones we saw last year in Australia. These are rheas, we think, not ostriches or emus. Rheas have three toes per foot and ostriches only two. We couldn’t get close enough to count. 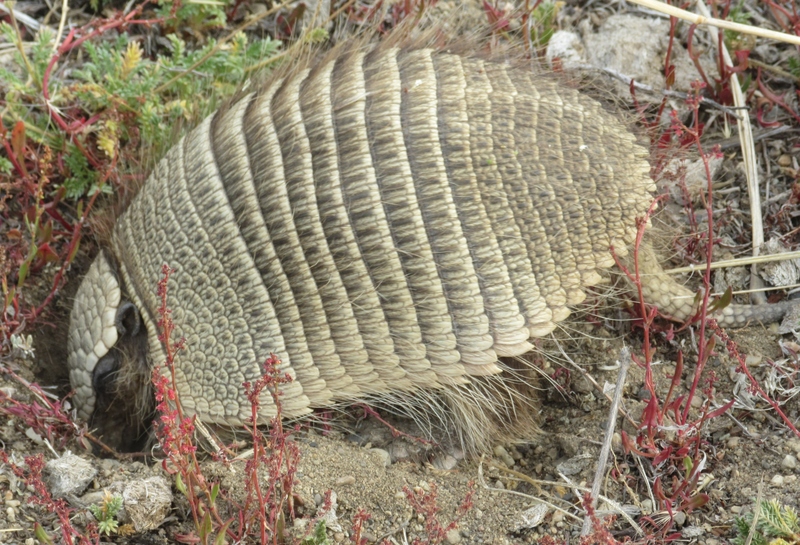 The little pichiy armadillo was digging for his dinner. In the protected Laguna Nimez Reserve, he would not become someone’s dinner. Elsewhere he might be in trouble. 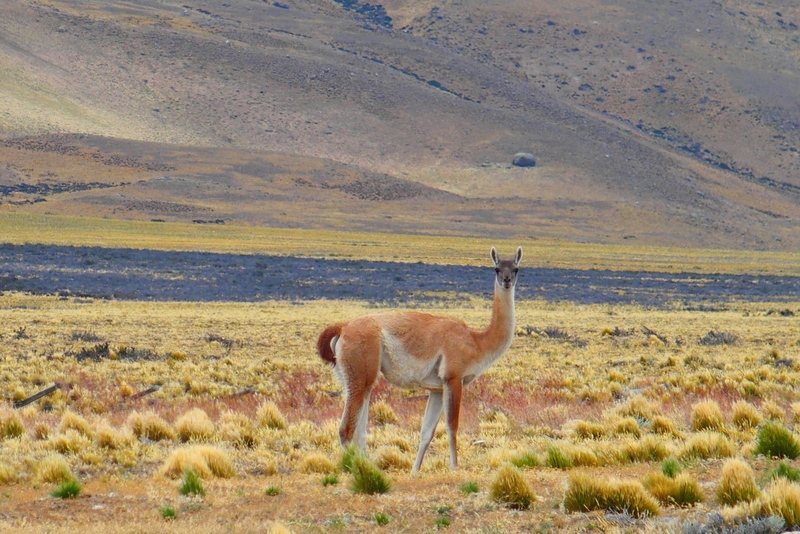 Most likely a guanaco, not a llama. Where’s the beef? We had plenty of beef in restaurants, but as we drove around Argentina, we couldn’t find many cows. 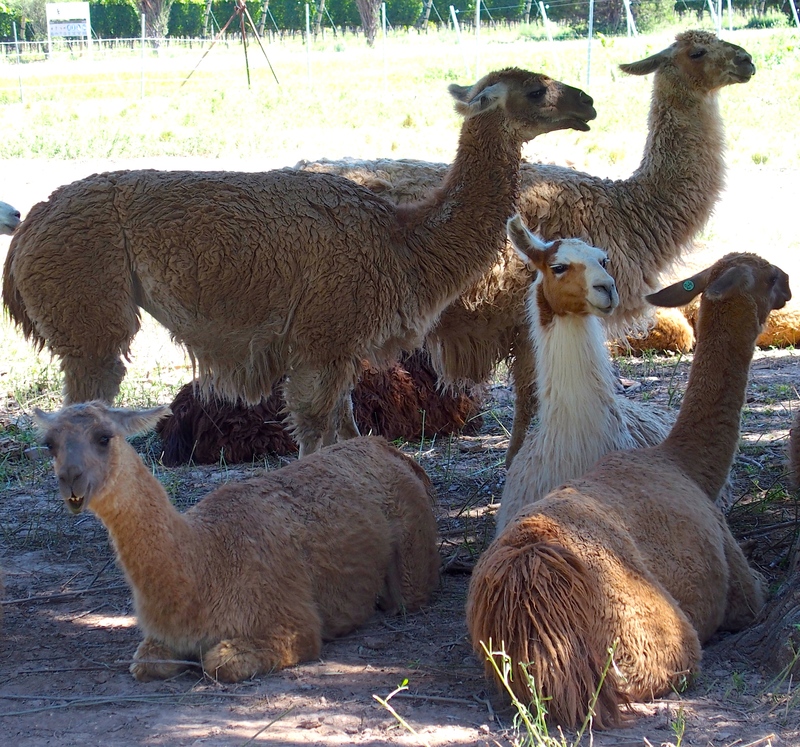 We did see lots of horses and a few gauchos as well as shy llama-looking creatures that ran quickly away from our cameras. 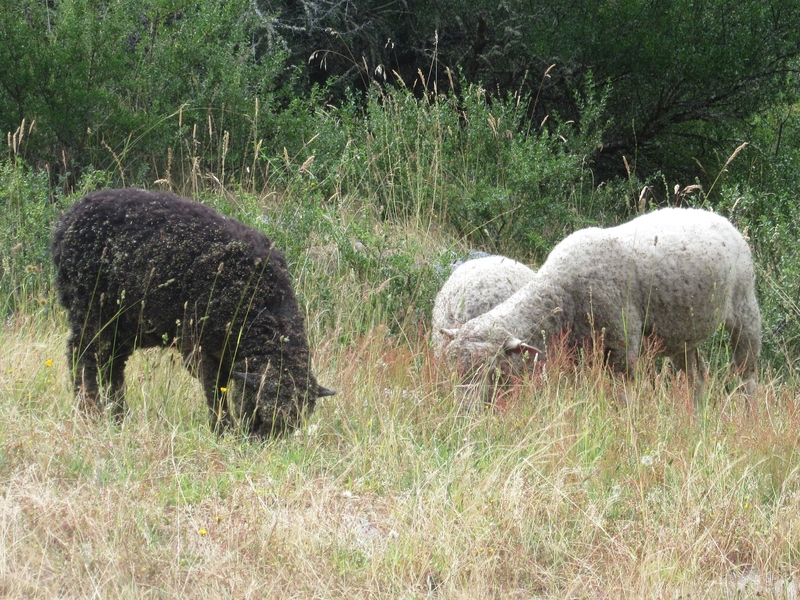 A few sheep. Lamb and goats are popular when cooked on the asador grill. Lots of burros. Some of the trekking into the mountains requires packing two-burro loads. 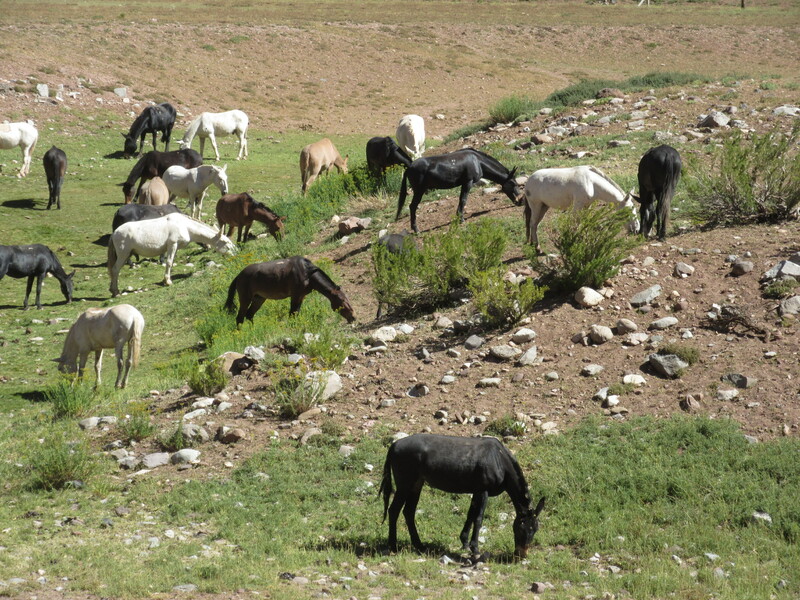 Many of the horses seemed to be roaming wild. 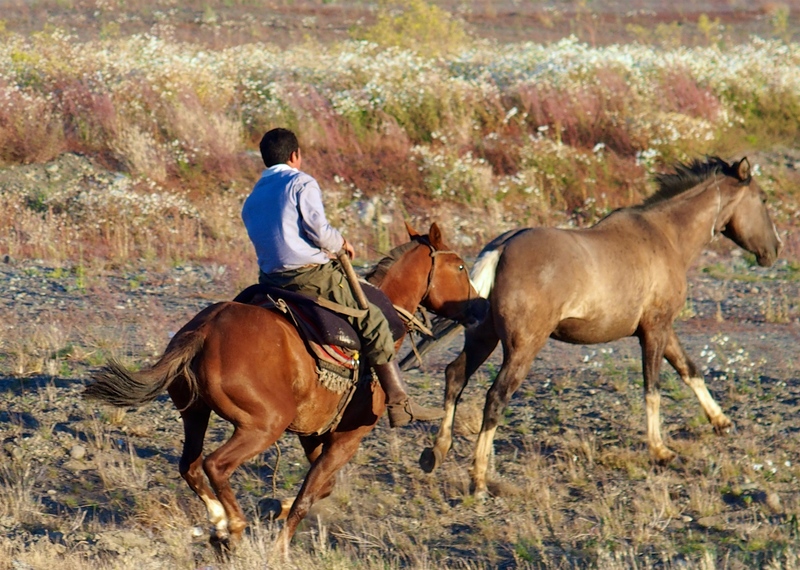 Modern-day gauchos rounded up their criollo horses for tourists to have cabalgatas rides. 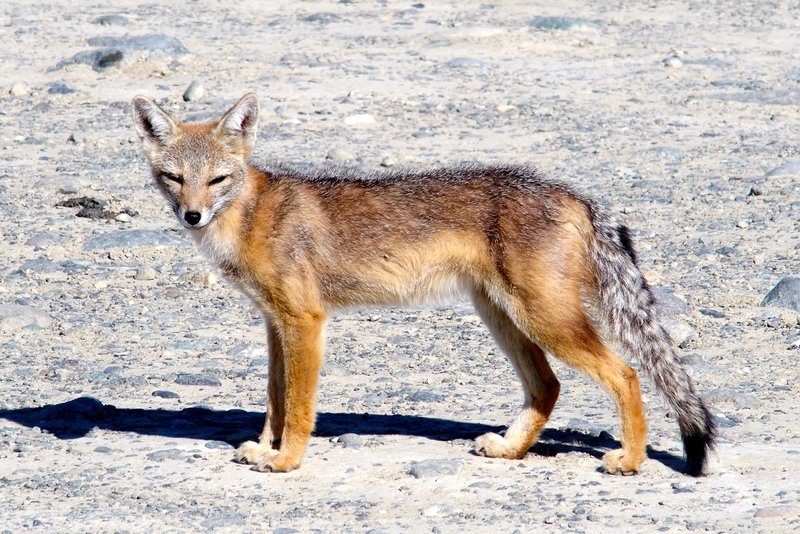 Foxes are very common in Patagonia. This one was stretching in the sun right next to us with no worries we would engage in a fox hunt. 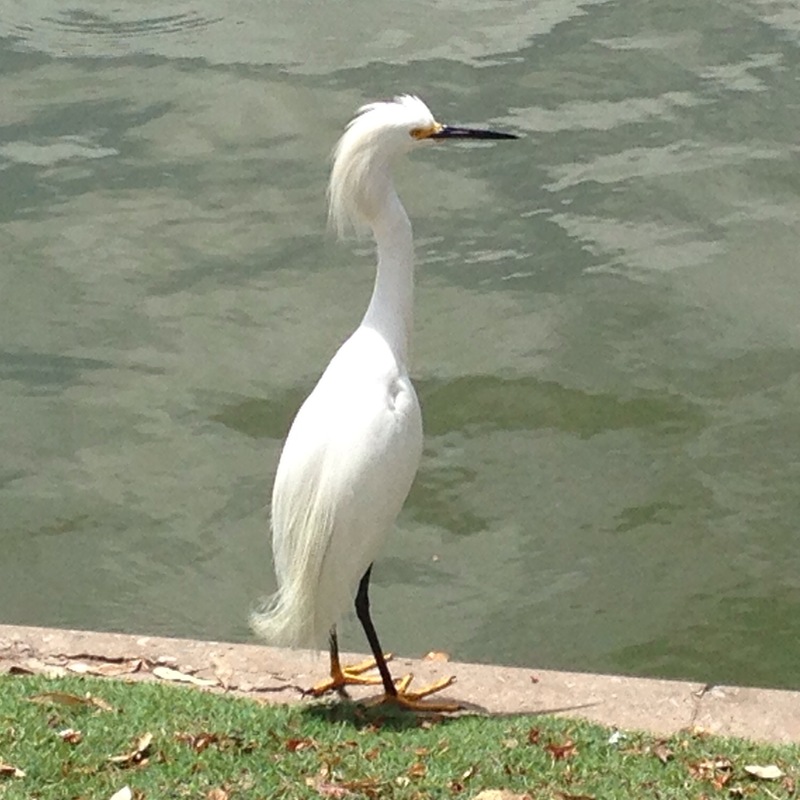 A snowy egret at the Rosedal park in Buenos Aires. 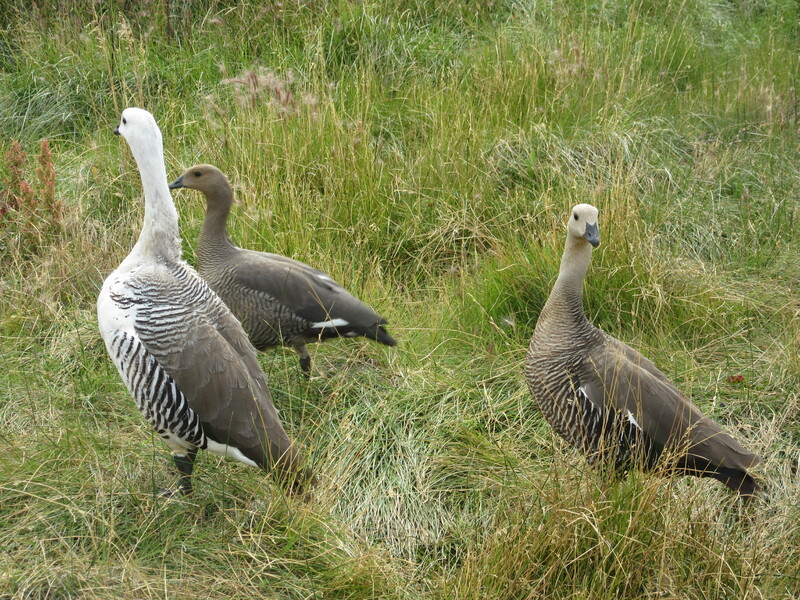 Michael’s golf course buddies, maybe ashy-headed geese. 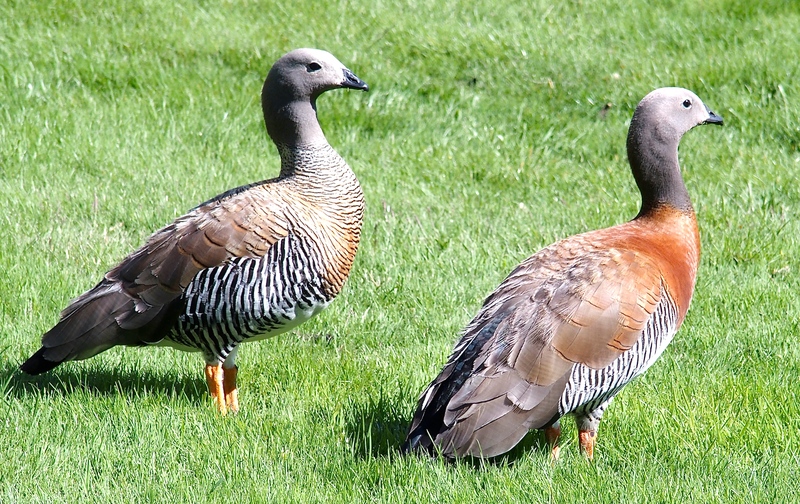 They acted the same as Canadian geese on the fairways, leaving lots of droppings. 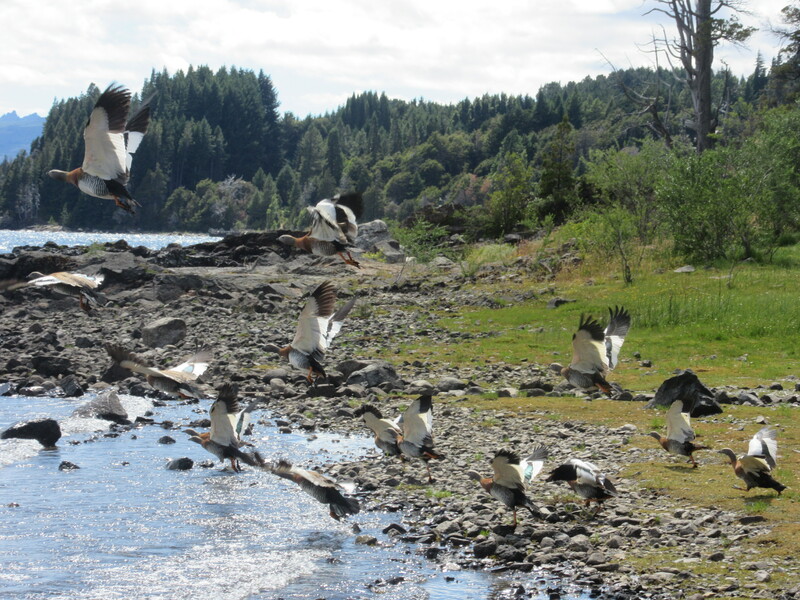 Geese rousted from the 18th-hole water hazard at Llao Llao golf course. 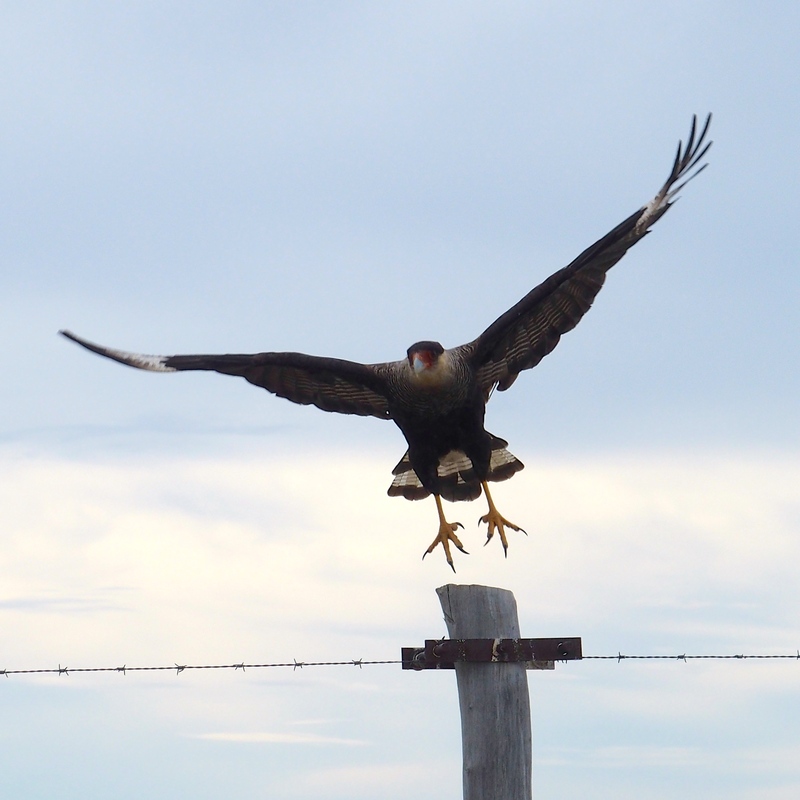 A carancho or caracara bird of prey. We also saw condors high in the sky, too fast to photograph. Probably upland geese, strolling through Laguna Nimez Reserve. 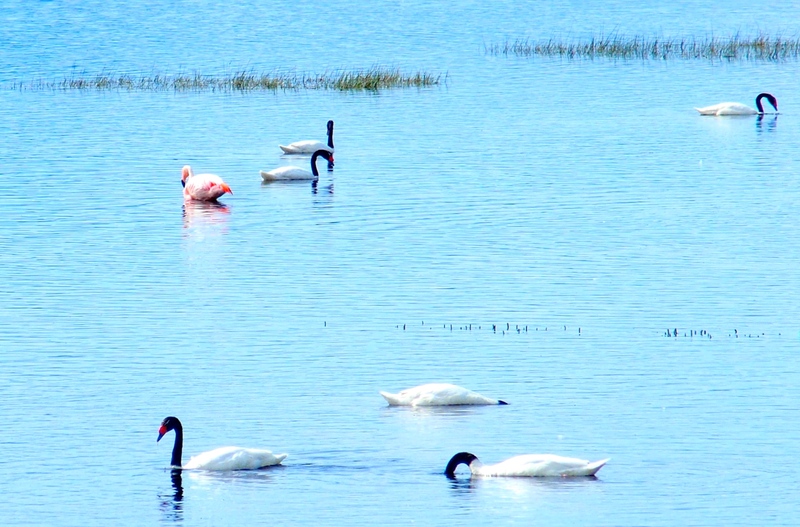 Black-necked swans. Who is the ugly pink duckling? 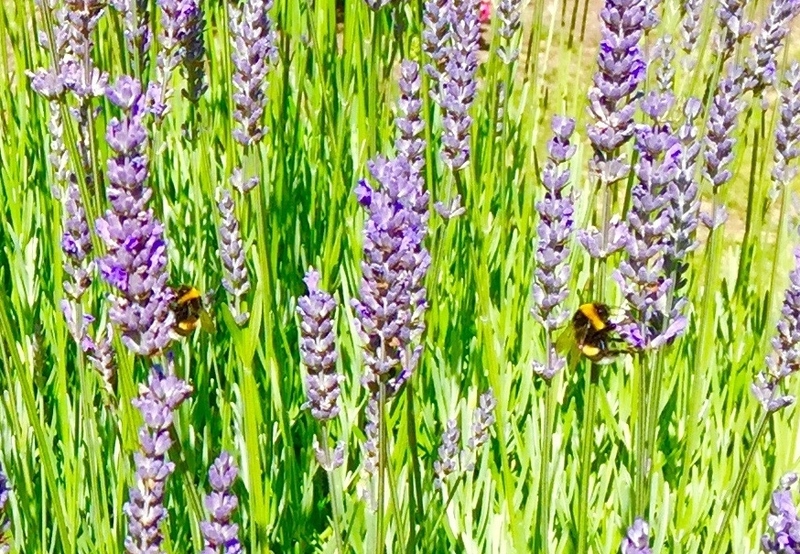 Plenty of bees to pollinate the lavender. We did see trout too, but only on our plates. Trucha from the Patagonian streams is very popular and quite tasty. These aren’t really wildlife, but whenever we stepped off the roadside in Patagonia, these little burrs “jumped” onto our shoes and clothes. 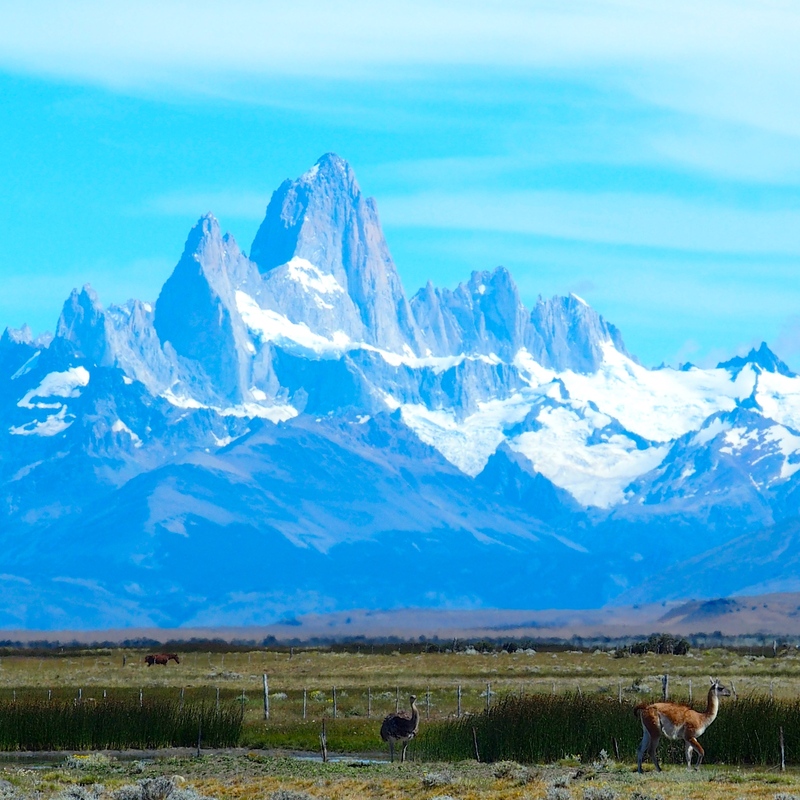 Just another day in Patagonia with a guanaco and a rhea in front of Mount Fitz Roy. 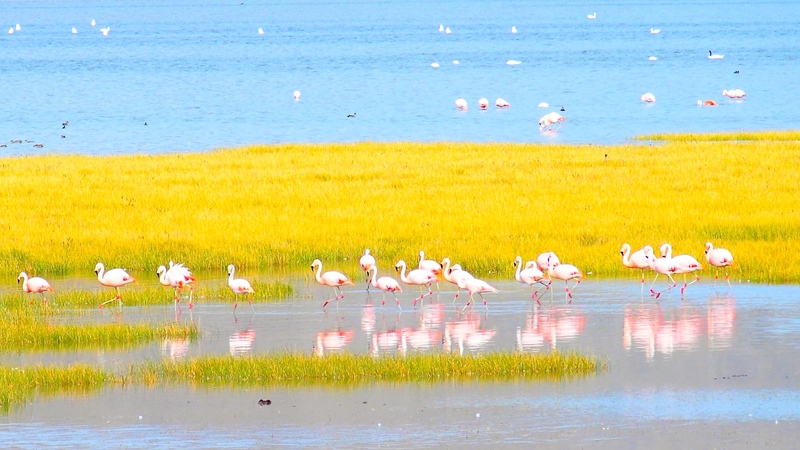 This entry was posted in Smell the Roses and tagged Argentina, birds, Patagonia, wildlife. Bookmark the permalink.